Many U.S. states have mottos in a classical or European language; many were once part of another country. Only one has a motto in its own language and only one can say that it was once its own kingdom. That state, of course, is Hawaii, 50th of the 50 U.S. states, having been admitted to the Union only 53 years ago this past week. 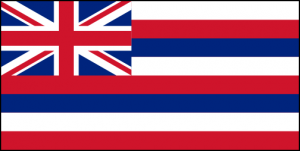 And although it has had only one (often-amended) Constitution since it became a state, Hawaii has had some form of constitution since 1839. 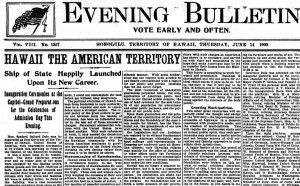 Hawaii’s position in the Pacific, its small population, and the susceptibility of its people to western diseases left the islands constantly vulnerable to the interference of foreign powers.3 Its leaders sought to shore up its independence with a series of treaties. The annexation didn’t occur immediately on the overthrow of the Hawaiian government. An initial treaty was negotiated but the treaty of 1893 was withdrawn by President Cleveland. 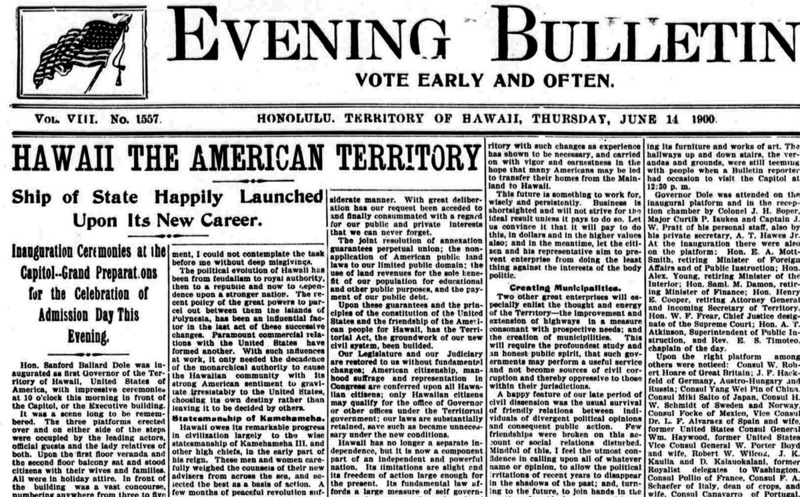 As a result, a provisional republican government was formed in Hawaii with its own short-lived constitution. A full text of the original constitution as adopted couldn’t be located online though there is a “Coming Soon” link on the website of the Native Hawaiian Genealogy Society website. Copies are available at the Law Library of the University of Hawaii, and because of the notes at the version of the Constitution at the Hawaii Legislative Reference Bureau website, it’s possible to see what portions of the present constitution persist from the original. The full text of today’s Hawaii Constitution is online at the Hawaii Legislative Reference Bureau website and also at Justia.com.